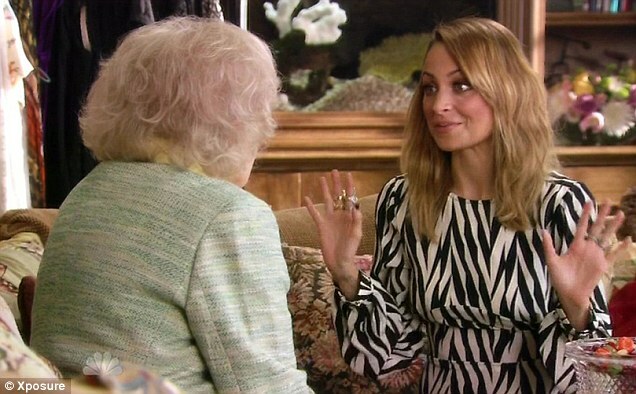 Nicole Richie made a special appearance on Betty White's Off Their Rockers. In the programme, Nicole appeared alongside White on the episode where pensioners prank youngsters, poking fun at their style & personality. Nicole Richie always makes a great comedy guest, she has a great sense of humour .. which we are all aware of from her Simple Life days with Paris Hilton. Nicole Richie wore a dress from her A/W12 collection of Winter Kate.